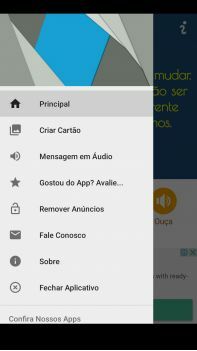 Must fix: App crashed because of FATAL EXCEPTION: main Process: br.com.as2.cartaomotivacao PID: 16724 java.lang.NullPointerExcep... Users with phone manufactured by Samsung might experience a crash on their phone!. Fix now! Must fix: App crashed because of FATAL EXCEPTION: main Process: br.com.as2.cartaomotivacao PID: 16724 java.lang.NullPointerExcep... Users with phone manufactured by Panasonic might experience a crash on their phone!. Fix now! Must fix: App crashed because of FATAL EXCEPTION: main Process: br.com.as2.cartaomotivacao PID: 16724 java.lang.NullPointerExcep... Users with phone manufactured by Asus might experience a crash on their phone!. Fix now! Must fix: App crashed because of FATAL EXCEPTION: main Process: br.com.as2.cartaomotivacao PID: 16724 java.lang.NullPointerExcep... Users with phone manufactured by LYF might experience a crash on their phone!. Fix now! Must fix: App crashed because of FATAL EXCEPTION: main Process: br.com.as2.cartaomotivacao PID: 16724 java.lang.NullPointerExcep... Users with phone manufactured by YU might experience a crash on their phone!. Fix now! Must fix: App crashed because of FATAL EXCEPTION: main Process: br.com.as2.cartaomotivacao PID: 16724 java.lang.NullPointerExcep... Users with phone manufactured by Motorola might experience a crash on their phone!. Fix now! Must fix: App crashed because of FATAL EXCEPTION: main Process: br.com.as2.cartaomotivacao PID: 16724 java.lang.NullPointerExcep... Users with phone manufactured by Karbonn might experience a crash on their phone!. Fix now! Must fix: App crashed because of FATAL EXCEPTION: main Process: br.com.as2.cartaomotivacao PID: 16724 java.lang.NullPointerExcep... Users with phone manufactured by Lenovo might experience a crash on their phone!. Fix now! Must fix: App crashed because of FATAL EXCEPTION: main Process: br.com.as2.cartaomotivacao PID: 16724 java.lang.NullPointerExcep... Users with phone manufactured by Micromax might experience a crash on their phone!. Fix now! The app has a high performance risk for the phone manufacturer(s) Micromax, Karbonn, LYF, Panasonic, Lenovo, Samsung, Asus, Motorola, YU. Check coverage report for more details.